Why should I use Video in my Show? What a good question to start with? It may seem to be an obvious one too but I have been in meetings where teams have discussed using video purely because it is new. Well, it’s not new. Projection has been used in Theatrical performances for hundreds of years. And it can be a complex and expensive element in the Theatrical toolbox to get right so it’s best to have a good reason to be employing it. These days, Live Video takes many guises and has many uses: it can be used scenically, narratively, as a light source…the list goes on. Therefore, this question in fact comes straight back to you, the director / producer / designer: what would you like video to do for you? 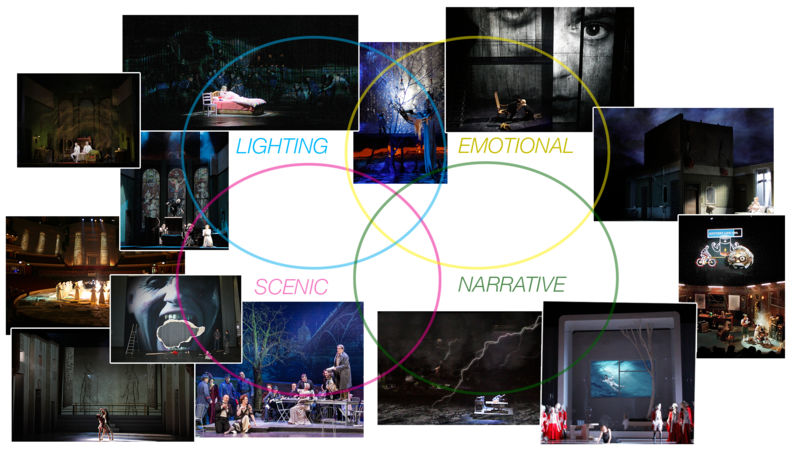 How can it serve you and your narrative, your set, your event? There are of course some things that you can’t expect video to help with. Number one on this list: Replacing the set. Video can’t and shouldn’t do this. Not only do you need something physical for the projection to land on or video to be transmitted through (screens, LED etc) but without a scenic design, video can be a cold, staid and distancing medium to present an audience with when they have entered into a space where they expect a live experience. Plus, video in live performance is most interesting when it is used in a fully integrated manner, whether that’s with action or physical objects. And if anyone thinks that using video will be cheaper than having a set, they will invariably be disappointed quite quickly. Project black imagery: Black is an absence of colour and therefore light in this world so in order to project something that appears to be black, there will need to be some colour for the black to appear against. I will add to this list as questions people have asked come to mind but for now make sure you hire an expert early on and collaborate with them to understand what the limitations might be in your show. There’s no such thing as a stupid question. Remember: Use video for what it does best and you will be delighted. As with many things, it’s the quality of the idea then the quality of the execution that sets the good apart from the great. Don’t waste energy on fundamentally bad ideas or money on poor execution. 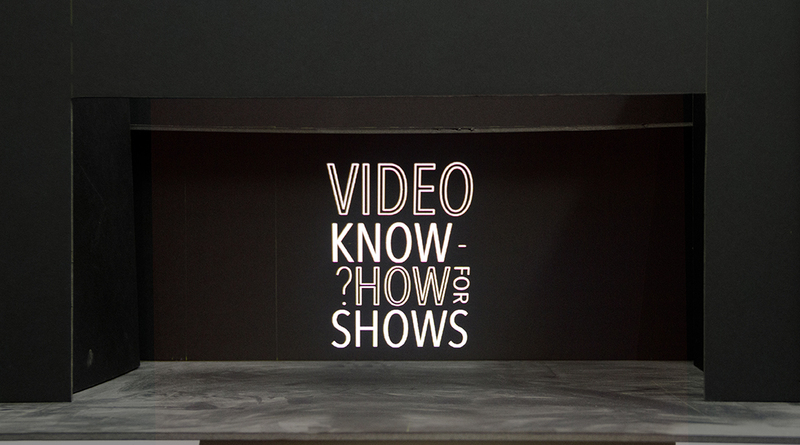 Posted in Video Know-How for ShowsTagged #videoknowhowforshows, Projection Design, Video DesignBookmark the permalink.